Every year, from November through February, Smoky Mountain Winterfest transforms the Pigeon Forge area into a magnificent winter wonderland. There are dazzling lights, live music performances, Christmas parades, and other festivities to help bring out your holiday spirit. Be sure to visit Pigeon Forge in the early evening, when trolley tours of the Christmas lights are offered! Large Cabin Rentals can provide you with a luxurious cabin large enough for even the biggest extended families. Having a family gathering in the Smoky Mountains is the ideal way to celebrate a traditional Christmas. You can find cabins that have eight bedrooms and even ones as large as sixteen bedrooms. 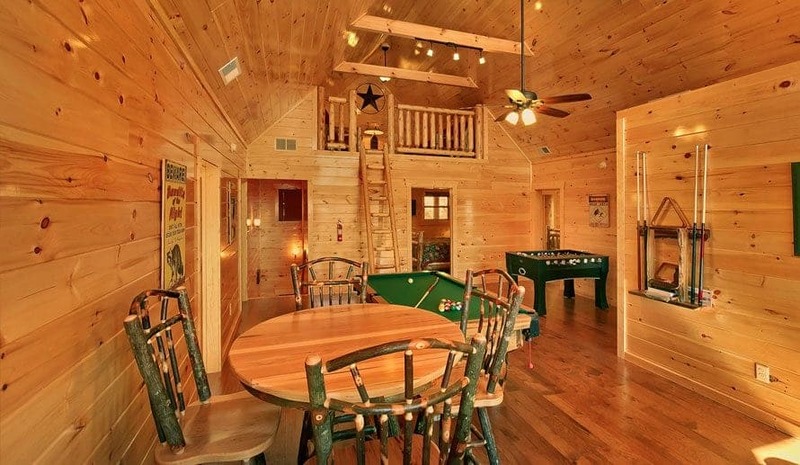 Cabins come with all kinds of amenities that will ensure you have plenty to keep you occupied. 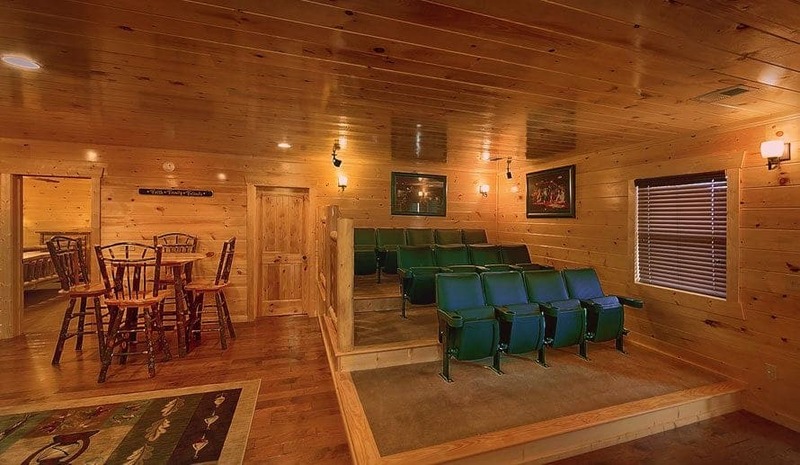 You can catch up on family history in front of a fireplace and watch your favorite Christmas movies with your cabin’s home theater system. Some of our cabins come decorated for Christmas, so you can enjoy a traditional Christmas in the Smokies! Our decorations will allow you to get immersed in the spirit of Christmas from the moment you walk in the door. One of our decorated cabins, combined with other amenities such as a fireplace, indoor Jacuzzi, and amazing mountain views, will provide you with an unforgettable Christmas vacation. 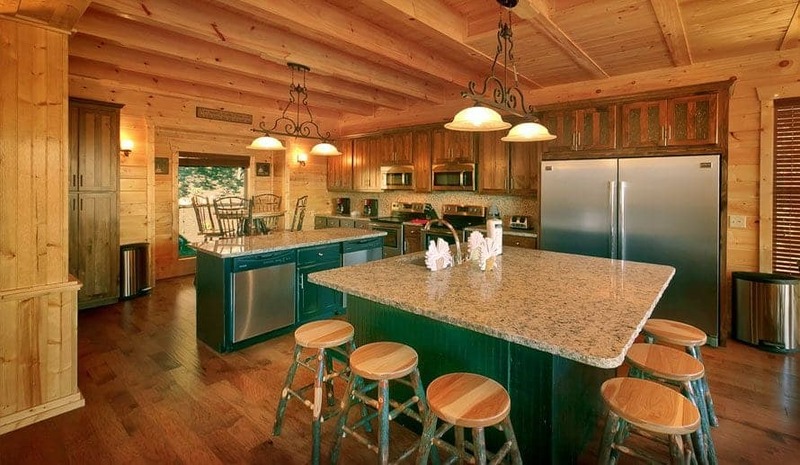 When you rent one of our Pigeon Forge cabins you will be getting a fully-equipped kitchen. 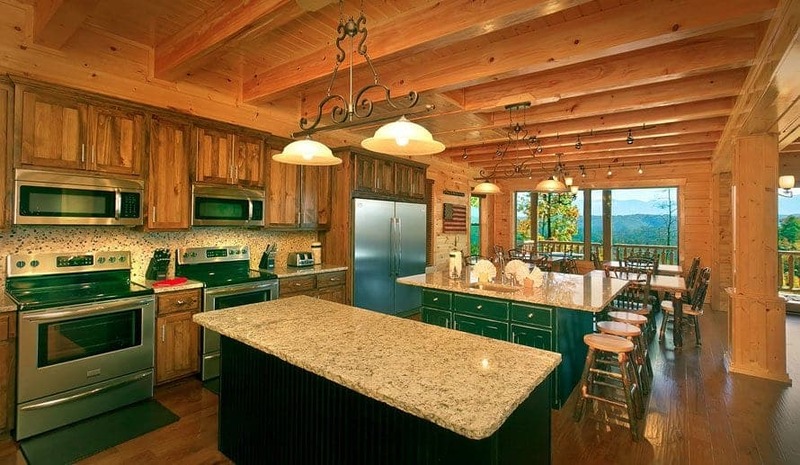 Guests can devote a day to preparing a traditional holiday meal in a spacious cabin. There are plenty of grocery stores in the Pigeon Forge area where you can stock up on essentials for your cooking. In addition to making delicious holiday entrees, you can also bake some holiday cookies or perhaps an apple pie for dessert! 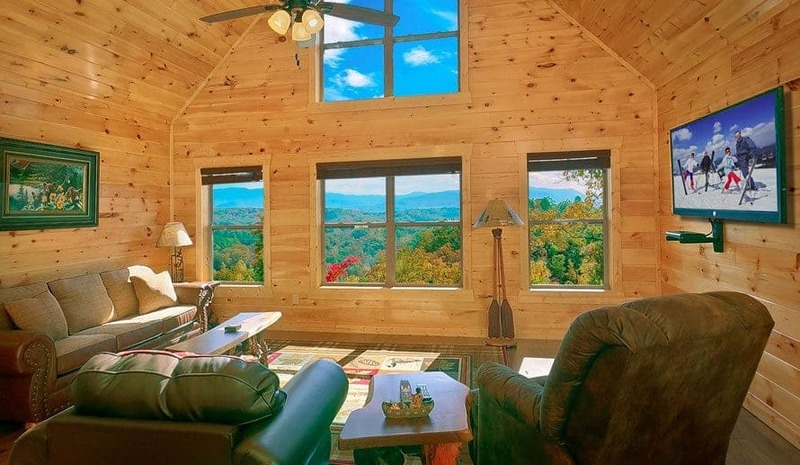 These are just a few suggestions for having an extra special Christmas at a large Pigeon Forge cabin. There are plenty of other possibilities as well. If you enjoy the outdoors, you can take a winter hike in the nearby woods or in Great Smoky Mountains National Park. The area also offers many fun and interesting attractions, including fine dining, miniature golf and the famous Dollywood theme park. 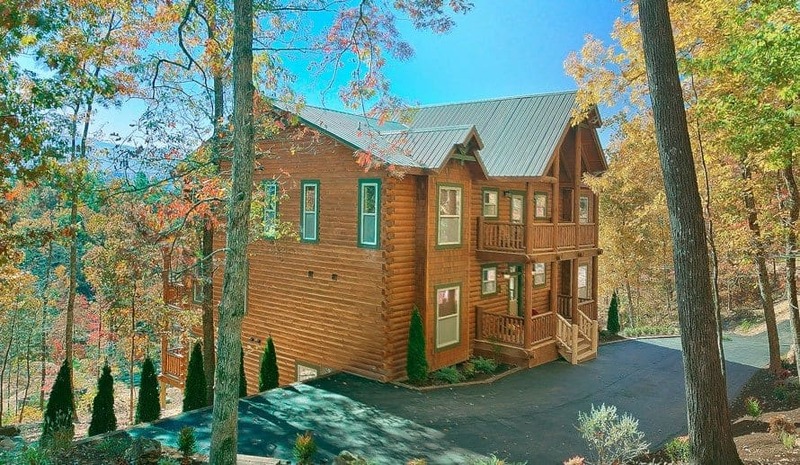 A large cabin in the beautiful Smoky Mountains can provide you with a Christmas getaway that the whole family will love. 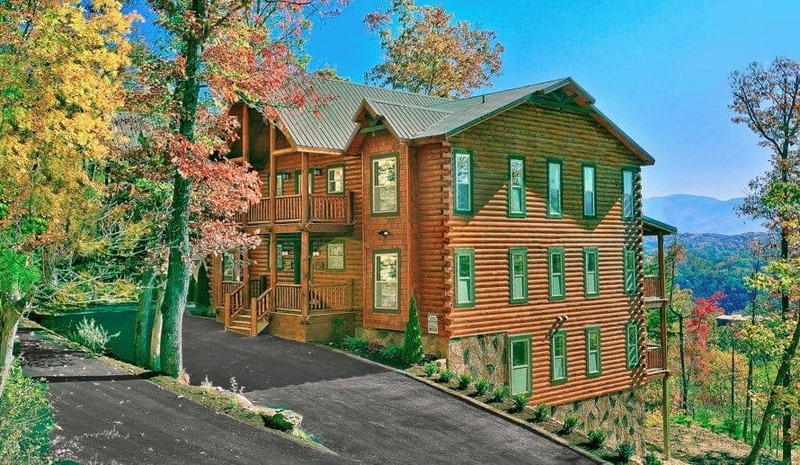 Visit our Find a Large Cabin in Pigeon Forge page to choose the perfect place to stay for your winter vacation!